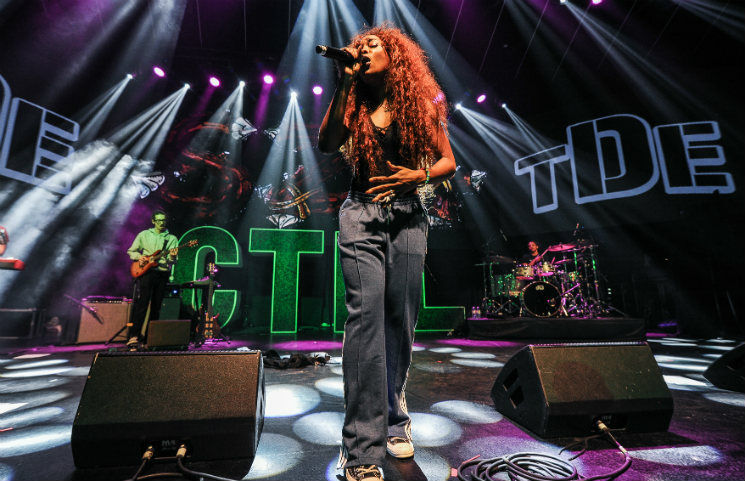 SZA certainly freaked fans out when she announced that she had "permanently injured" her voice in the midst of the TDE "Championship Tour" last month, but it seems the singer is finally on the mend. Taking to Twitter, she thanked fans for their support and well wishes, as well as the doctors she's been working with. SZA said that her voice was not, in fact, permanently damaged and that she's been "working daily to get it back." Thank u to the incredible team of Doctors and vocal technicians that have taken time to see me over the last few weeks in every city. I'm blessed to say my voice is not permanently damaged and i've been working daily to get back. Slowly but surely. The singer is apparently already set to test out her chops — and did so last night (June 17) at Firefly festival in Delaware. According to Billboard, she seemed back in fine form. In fact, she'll even serve as one of the opening acts on Lauryn Hill's upcoming 20th anniversary tour for The Miseducation of Lauryn Hill. See some video footage of her comeback performance at Firefly below.